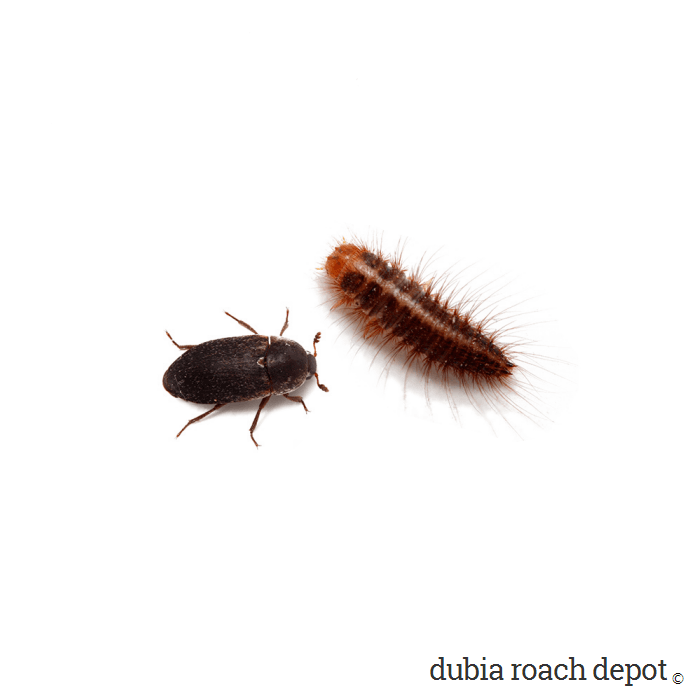 Live, flesh-eating Dermestid beetles for roach and other insect colonies, skull cleaning, general taxidermy, and other hobby-related or professional projects. 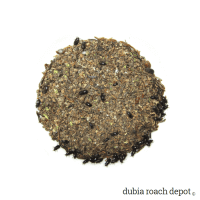 Our Dermestid Beetle Starter Colony is for those who need a large number of Dermestid beetles and larvae quickly. 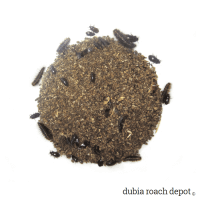 You can use them as cleaner crews in multiple roach colonies, but they are typically used for at-home taxidermy projects like bear or deer skull cleaning as well as other jobs that require meat-eating insects to remove flesh from bone. The Dermestid Beetle Starter Colony contains has a mix of juvenile and adult Dermestes maculatus, commonly known as the hide beetle or flesh-eating beetle. This is the species taxidermists, museums, and universities use to strip flesh from bone during specimen preparation. These insects are efficient and effective carcass cleaners. Their population rapidly increases to meet the current food supply, they have voracious appetites, and they leave behind pristine skeletons. This is because they consume only carrion, which is muscle, cartilage, and skin. They do not eat bone. They focus solely on cadaver cleaning, and they can handle anything from huge carcasses with the largest bones in the world to the smallest and most fragile. They’ve been used to clean massive whale bodies, small bird and reptile remains, and everything in-between. As their nickname implies, “flesh-eating beetles” specialize in devouring dead flesh. They are not particularly picky about what form the flesh takes. But don’t worry, they only eat dead flesh. There is no concern that they might attempt to eat anything alive. Rotting flesh gives off chemicals that living flesh and bone does not, and these chemicals drive their feeding. This is why they pick bones clean. While Dermestid-cleaned bones may require some post processing for color, assembly, and preservation, the insects do all the soft tissue removal work. When they’re finished eating, all that remains is bone. With respect to the Starter Colony itself, the mix of beetles and larvae you receive depends on the composition of the source colony at the time of collection. Sometimes there are more beetles and other times more larvae. Either way, their numbers grow quickly. Just give them the warmth, food, and darkness they need for reproduction and they’ll do the rest. As opportunistic feeders, Dermestid beetles must rapidly increase their numbers when food becomes available. They must eat, breed, eat some more, and then move on to another food source. To that end, Dermestid eggs hatch in about 5 days, beetles lay eggs nearly non-stop, and larvae eat almost constantly. It’s pretty easy to ramp up their production. The most important thing is purchasing healthy Dermestid stock for your project. To that end, we put a lot of effort into raising healthy Dermestidae. Our colonies are climate-controlled and mite-free. We make every attempt to give all our insects optimum conditions for growth and reproduction. We even feed them from our organic roach colonies when possible. The result is healthy, vigorous Dermestids. 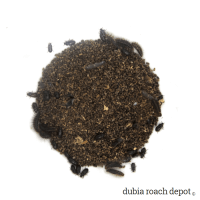 Our insects are primed and ready to eat and reproduce, which is exactly what you want from a Dermestid beetle starter colony. We’re so confident you’ll be satisfied with our Dermestidae that we guarantee them. If you’re unhappy with the Dermestid Beetle Starter Colony for any reason, you can return it for a refund. Caring for a Dermestid beetle colony is fairly straightforward. They require relatively little effort once their enclosure is set up. You can read about Dermestes care and maintenance here. The information is geared toward people who use them as dead roach-scavenging cleaner crews, but the information is relevant to any application. The only difference is that you’ll need to set up a bin and provide food and water directly rather than adding them to a roach bin and relying on roach die-off to feed them. Increasing their population is also fairly easy, as Dermestid needs are pretty basic. These include food, water, and a dark space between 70°F and 85°F. You can increase your Dermestid colony to any size you want if you give them what they need, along with a little time. Arrived in 2 days alive and well in the middle of a snowstorm! They look healthy, are exactly what I was looking for, and I got them at a great price. Perfect! These are very nice. Lots and lots of healthy Dermestes maculatus. They were clean and in great shape. Too many to count but there seem to be many more than advertised. Can’t complain, highly recommended. I’m very happy with the roaches I bought and you can’t beat free same day shipping. I will definitely be back and I highly recommend this website.